(4) End Caps , pin connectors . 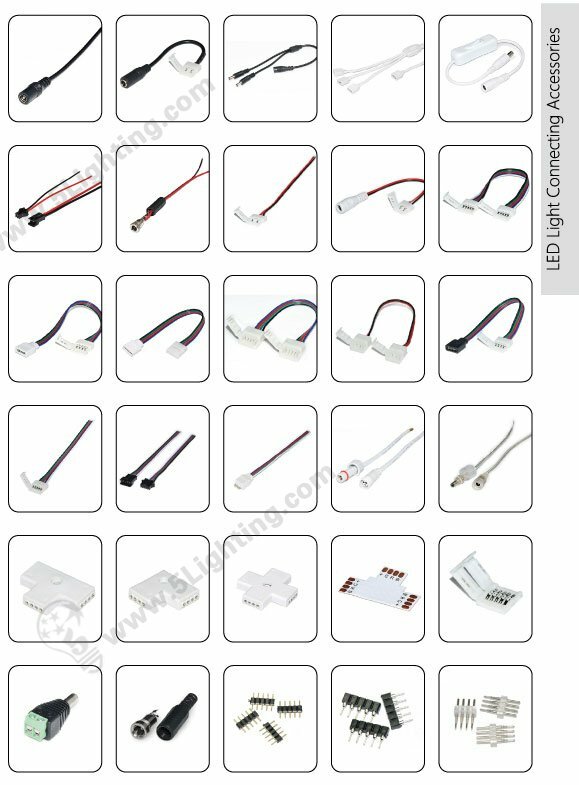 (5) LED Aluminum Channel Profiles for strip lights , hundreds of groove sections, great heat emission . (6) LED Dimmers : Dimmer , decoder, controller for RGB LED Lights . and transformers , DC splitters ..